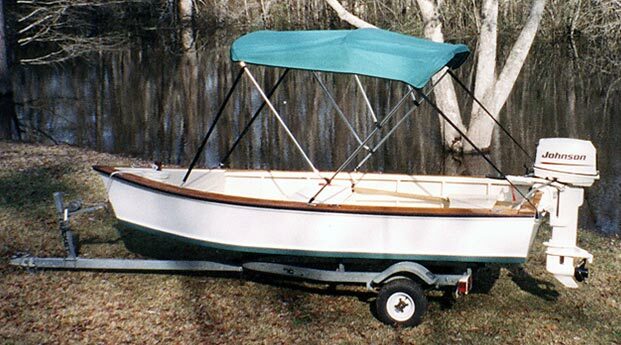 Per Crawford writes "EVINRUDE was officially launched on January 12, 2003 into the Waccamaw River at sunset. 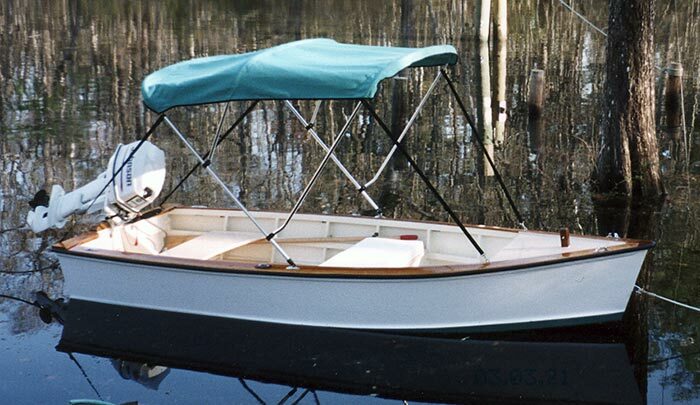 Per Crawford designed and built the 13'6" Carolina Skiff of 1/4" marine plywood, stainless steel fastened with 6 oz. Fiberglass overlay using the west system.